Choicedelhi.in is a offering PPC services since 2012. 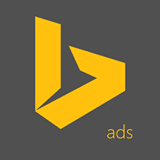 And it is also providing Bing Advertising Coupon Code for Bing ad accounts. Coupon Validity is 30th June 2017.